Soon the man sold his big pots and pans. He gave each of the friends a small pot. On each pot was a small letter. 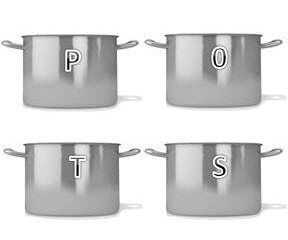 On one pot there was a P. That pot went to P.
The pot with an O on it went to O. The pot with an S on it went to S.
The pot with a T on it went to T.